Having hibernated last winter, I realized that my plan for this wintertime didn’t honor my self-care time. And what I discovered was this: my body needed rest, and she was taking it, no matter what! So ‘rest, read, journal’ became my new plan. I would follow it to the ‘t’, except for a couple beautiful online courses, deliciously simple and ponderous, while connecting beautifully with other like women souls. Walking with a good friend once a week. Gentle yoga stretches early in the mornings. Making certain I was hydrated and nourished appropriately. Organic herbal teas and an occasional glass of organic wine. Allowing myself to rest and nap more. Reading comforting fiction and nonfiction. 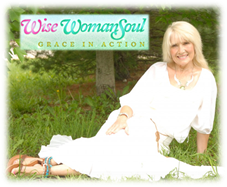 Online & actual connection with wise women groups that nurtured gently. Checking in continuously to keep myself on my path, knowing it was so easy to fall out of alignment during this fragile time. Loving kindness laced with breath work seemed to move me back tenderly as needed. Journalling, so much a part of my life for years, softly with ease and only what touched my soul deeply. Once I got myself in gear for that winter season, little synchronicities began to appear. A beautiful journal Undone is beautiful There is beauty to be found in the middle of the mess (Michele Cushatt) showed up for me. Perfect! I discovered Renee Trudeau’s Nurturing the Soul of Your Family 10 Ways to Reconnect and Find Peace in Everyday Life. Comfort food for the soul! A delightful planner/journal by Breathe (UK) found its way to my hands that would allow me to easily play more with my scheduled and unscheduled events—-a softer way for me to get through my mundane to-do’s and my creative tasks as well during my cocreated moments of winter down time. I had given up strict calendar time and list keeping years ago, so I was a bit challenged at first until I grabbed my colored markers, pencils and stickies for collaging my way through my days and weeks of these winter months. I connected. I brought in my new word for the year 2017 and replaced last year’s 2016 word “Elysian: divinely inspired” to “Reciprocity: harmony and balance through giving and receiving“. And I knew I could do this. Winter and I could and would honor each other. “What was all that about?” I asked. A soft whisper slid in behind with, ” following the seasonal cycles, you are” with a smile. I realized I was. I was no longer in a hurry. My body said “absolutely not”. The small woman in me no longer had to feel guilty or worry. So I took a deep releasing breath to listen.